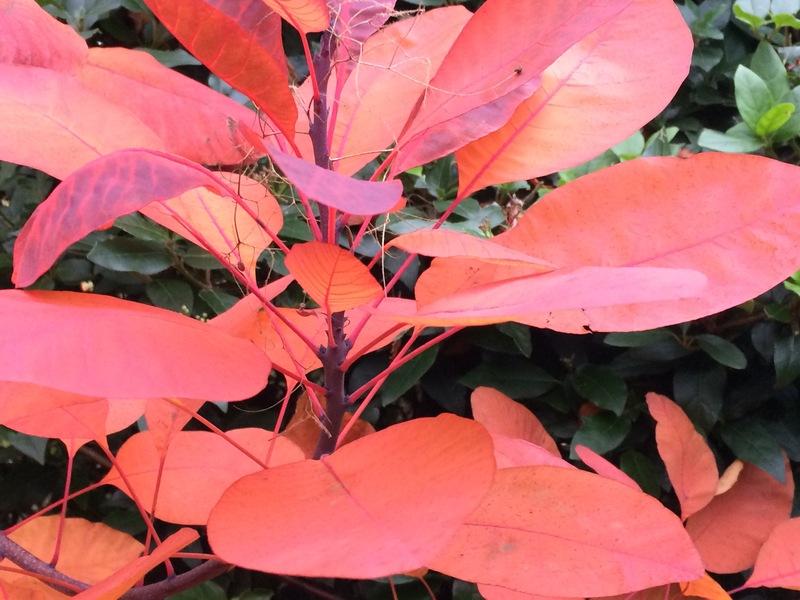 This is the foliage of Cotinus coggygria ‘Royal Purple’ or Smoke bush showing its Autumn colour. Who would not want to make room for this shrub. 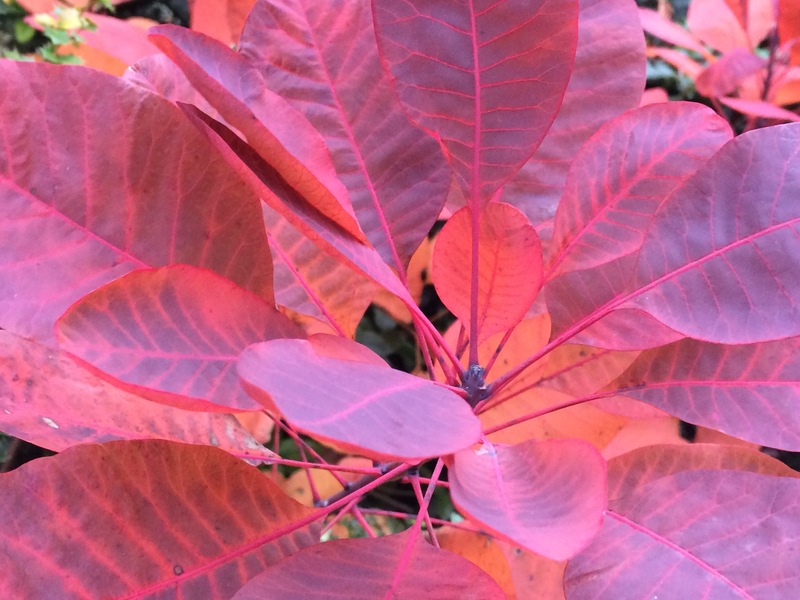 It likes a sunny position in moist but free draining soil and will reach up to about 5 m. The leaves are a rounded shape, deep rich purple in colour, reaching up to 10cm long. In Summer it has fluffy plumes that from a distance, resemble smoke, so pretty.